I came here with the hope to go better than in the previous years. But did not really work out so far. In the beginning at the first round I had the chance to advance easily, but crashed a jibe. Then I continued crashing. On day 2 I took too small sailsize and finished very bad. On day 3 I decided to go on 6,2 when it looks lighter, which worked out much better. The speed on the first reach got better with the overpower and I feel much more confident compared to the previous years. 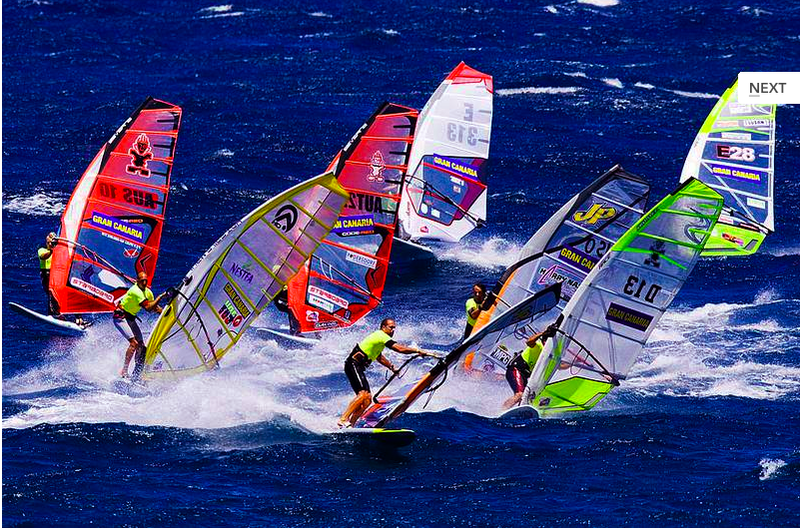 ItÂ´s so interesting that I use the same sailsizes like BjÃ¶rn, who has 20 kg more than myself. My main problem in the moment are the jibes. The initiation seems to be ok, but the sail rotation does not look good. My plan for the near future is to train much more in these stronger windconditions. 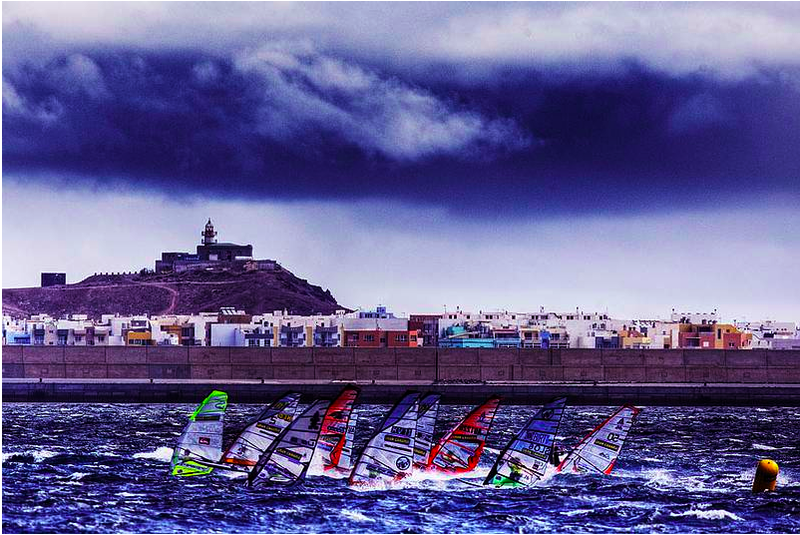 Overall sailing in Pozo makes fun this year. I like my gear, which is trimmed well. Just the result is not satisfying. I sit in 32. position right now. 12 rounds have been sailed. 3 more rounds are possible on the last two days. The next race will bring another discard.